And, no, it’s not wet. Sorry, folks. It’s been an interesting couple of days here at MOASTBFFG. A few weeks ago, I wrote about how SPW (possessor of lots of clothes!) and I were cleaning out our closets. I had mentioned finding a stack of t-shirts that I hoped to be able to wear again soon. Soon has arrived. I’ve actually busted out a few more since the Alzheimer’s Walk shirt… one that proudly proclaimed that “REAL MEN WEAR KILTS” and a vintage 2009 Scopa Towers tee. The best was this morning, when I thought I’d wear something new to the gym and found a MouseFest 2008 shirt. This has been the single biggest highlight, other than feeling better. Being able to put on stuff and it’s not too tight. I might not always see it on a scale, but the clothes don’t lie. In fact, for general wear today, I actually fit in a Woot! shirt. That’s worth a… woot? It’s a Monty Python tee, as many of my purchases tend to be. 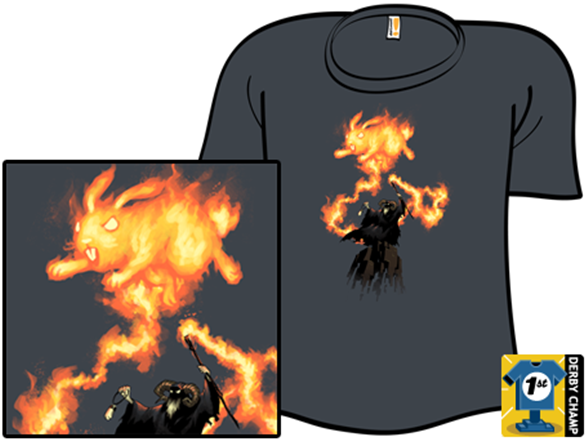 This featuring Tim the Enchanter. I have another that has swallows and coconuts and SPW and I share one with the Knights of Ni. 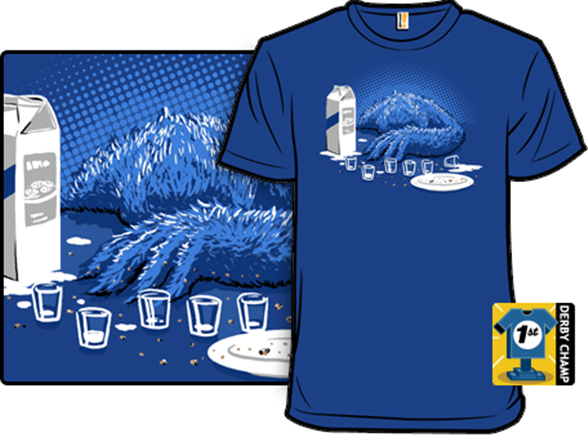 Others that I am looking forward to breaking out would be The Binge, featuring the Cookie Monster. I have a soft spot for goofy t-shirts and I’m really looking forward to wearing much of my collection again. So, for the first time in years, I made it to the gym for five straight days. Plenty of cardio and lifting, and I felt so good after today’s session, I’m thinking of heading over tomorrow morning for some more cardio. I’ll take Sunday off… since SPW (proud attendee of BlogHer 12!) will be coming home, maybe we’ll journey to the Lego Store and Wegman’s… see what’s going on. I know this will be a great opportunity for her to network and see our friend April, but I still miss her terribly. Well, I think that might wrap it up for today. I hope to continue to fit in stuff and keep up the good gym habits. I’m not going to lie… it’s a struggle to get there most mornings, and the first ten minutes of cardio is an absolute beast, but if I get through that, it gets a lot easier. I have a new goal to strive for, though… my friend and fellow weight warrior Glenn has recently managed to crank out 70 straight minutes on the treadmill. My personal best is 35 straight. I’m going to strive to get to that 70 minute mark. Maybe not next week, but next month? I’m feeling that anything is possible… if I can get my chubby self into a shirt I never thought I’d wear again, well, I can do more. I have to do more. This post made me want to try on a shirt I ordered earlier this year. When I put it on the first time, it was very apparent it did not fit. I just tried it on – and it fits much better than it did back then. Tangible results, Brian! Love ’em. That’s really cool, isn’t it? I normally hate shopping, but closet shopping can be a blast! Keep it up!